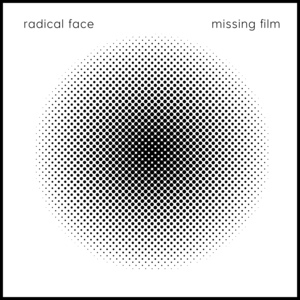 Radical Face releases a surprise album of instrumental scores titled "Missing Film." Partnering with Noisetrade, Ben Cooper (Radical Face) is giving the album away for free, offering students, film makers and content creators gratis usage for all non-commercial media. "I know what it's like to make films with little-to-no budget. I've done a lot of my music videos with less than 50 bucks and a crew of volunteers. Often times, new film makers have so little to work with when it comes to quality or interesting royalty-free music, I thought it would be fun to come up with some and see what people did with it." Cooper often uses stories as frameworks for his songs, making him a natural fit for the world of film and TV. Radical Face has landed syncs for Academy Award Winning The Descendants and Emmy Award winning The Blacklist, as well as provided music for ad campaigns from Nikon, Chevy, Facebook and Google, eventually amassing over 200 million Spotify Streams to date. His latest release, The Leaves, became the third consecutive album to bow in the top 30 Billboard Heatseekers chart, with Cooper garnering acclaim from the likes of NPR, Paste Magazine, Diffuser, The BBC, The Independent, The Wild Honey Pie, in addition to performing across multiple continents and on late night television for Last Call with Carson Daly. With two new releases coming in 2019, stay tuned for many more things Radical Face in the coming year.